Hello, I am Rovak from UK. My trading account number is 95247631. last years I had opened an account with Finotec broker. While they are not a scammer, but I am losing money due to the rubbish MT4 platform. Their execution is worst in the market, almost hang all time and my profitable trades being closed out below my position. I have lost $500 invested. 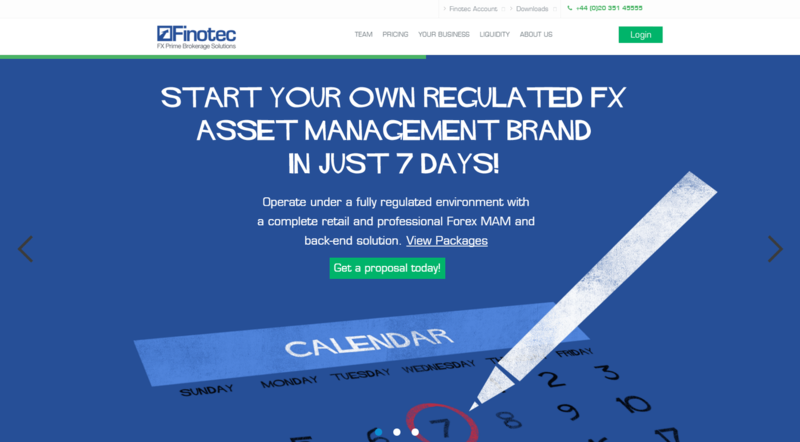 So I wouldn't recommend Finotec broker to any traders, who would like to invest here. I'm not satisfied with their service.I've complained to Finotec about incorrect execution of order, which always result to loss for me while trading, but they have refused to help regarding to this issue. I noticed that this is a form of strategy from them so as exploit their traders and ripped them of their money. I have an account with Finotec after I tried their demo account which I liked. For live account things are different. I have a mini account in USD currency with a first deposit of 200$. The platform has spikes of lags, and sometimes the closing price is different then the market. I called the support team regarding the crazy spreads during volatility times which for EUR/USD normal is 0.5 pips, during volatility times can be 3 pips, also the spread is higher for EUR/JPY up to 5 pips. With the demo account I didn't had this problems. Anyway I will close my account because is impossible to trade and I lose time and money. I just opened a standard account with them last 3 weeks ago. I don't hate them but I do feel like they told me false information at that start when I opened my account. My S/L and T/P nearly always get 3 or more pips slippage market orders can get up to 5 pips in slippage I have even seen 7 pips on one trade. Last night, they decided to close my positions in loss without proper communication just because they have the right to do so in their T&C's. Their slippage has hurt my trading and means that I have to recalculate my stop loss and take profit points each time I trade, this is completely against my trading plan. I complained this to them but they just ignored it and just gave excuses and blamed my connectivity. I have learned a valuable lesson here and that is not to believe the Finotec broker marketing pitch or agents. I am now on the process of closing and withdrawing all remaining money in my account. Will update my review again! stay away - you have been warned !! !Better still, don't trade through a market-maker if possible. I have been demo trading with Finotec for about 3 months before I decided to open a real account with initial $40 deposited via Moneybookers which lasted for only a month before I decided to close my account only because there were so many negative things about them and I am looking for an ECN broker that i know my money is safe. At start I manage to keep my profit grow and earned almost 10% in a 3 weeks. But the problem is, the spreads get widened during news but i think this is normal. Since then, I can NEVER get filled during announcements. Also the spread continues high for long periods after announcements. Therefore news trading is completely out using this broker. I think they are sending this message deliberately. For me a terrific learning experience, and one that i never want to repeat. They only want to make you lose your money, and do everything to make it happen. I never forget the last time that the servers crashed for 20 minutes I lost 50 pips. I think twice before you sign up with them. I immediately closed my account and it was the best thing I did. I am happy to trade with Finotec broker as a scalper. Really their 0.6 to 1.7 pips spread is awesome to me. On February 2017 I have started trading with only 200$ via wire transfers. I am using HotspotFX platform, which is so deference from MT4. Actually, the platform is simple with a lot of graphical possibilities and there is a short explanation for each indicator. My all trades executed instantly in real-time market quotes so far. I didn't see any slippage.Till now I have been earning $250 with them and last month I made the withdrawal of $150 via wire transfers, which take 7 business days to proceed. I think Finotec service is suitable for scalper as like me. Although I have been using Finotec broker for quite some time, I am still wondering about problem which always happened recently in the trading platform. I found that trading platform not function especially during major news. I also use MT4 platform in CPU and also mobile platform. Last week I have lost $150 in USD/CAD position since stop loss was unable to execute properly. I did e-mailed to Finotec Support department, and now still waiting for the response regarding the error. I wish they compensate back my money to trading account as soon as possible. Just replenished my trading account today worth 455 USD through my Mastercard and was very happy because the amount instantly appeared in my account. Now, I'm starting to some trading instruments like XAGUSD at a price of 16.364, USDCAD at a 1.25809, USDCHF at a 0.95007 and AUDUSD at 0.79077. All my orders were instantly honored. I never encountered any lags. Hopefully, I can sell it at a higher price before this day ends. Please stay away from this broker - Finotec, because I have bad experience with this broker. I joined with them 2 years ago, and this broker made me disappointed so much. At the beginning, this broker makes my trades be good, because I always get profit in trading. However, everything was different in next year, when I deposited with large amount – 1000$. At that time, I got profit – 800$ when I put lots of money. Therefore, I withdrew 1000$, but this broker didn’t let me do withdrawal. I always got error in their system when I made request of withdrawal. Hence, I contacted their support to ask about this problem, and their support always said that my request is on process. Until now, it has been 1 month, and I still get no money. Finotec is really a scammer, because they stole all my money! This broker makes me angry, and I can’t continue trading with this scammer!! At the moment, I close my account and I'm planning to make a scam report about Finotec. Please, do not open account with them. Finotec surprised me a lot when I registered an account. They immediately provided me a bonus of 30% for my first deposit, although it wasn't high, just $50. The process of registration just took me around 20 minutes and all information was sent to my email in a few minutes too. After that, I downloaded the trading platform without any complication. I tested it for a few days and realized it was easy to use and had several servers to use for a better connection. I started with EURUSD and then USDCAD and in around 2 months, I got earnings of $500. Not so bad, right? :) I haven't had problems with deposits and withdrawals. I make both of them with my Visa card. I usually make monthly deposits and withdrawals and no problems so far.